Hey ladies, it's been a while since my last post. December is definitely the busiest month for me. 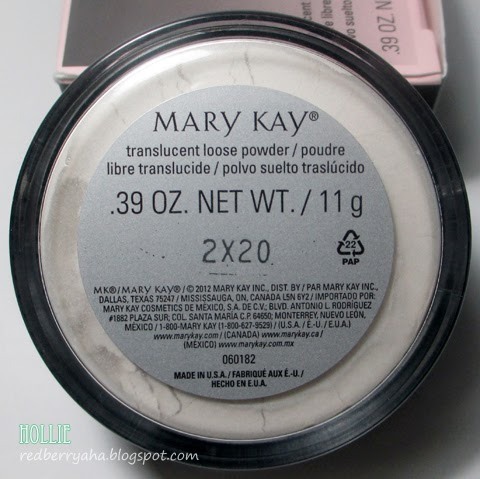 Since I have to attend parties and other special occasions this time of year I've been using my Mary Kay Translucent Loose Powder very often. 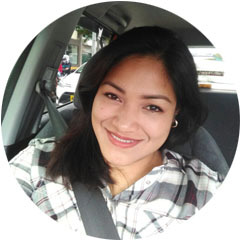 So, I though I'd share my thoughts on this product. It comes in a sleek plastic tub with a screw-on lid. The packing looks and feels durable enough. So, I feel like this won't break easily if it falls. Another thing that I really about the packing is, the sifter comes with a rotating lock. You can twist it when you want to get the product out, then twist it back again to lock it. So, you don't have to worry about wasting the powder when it is not in use. The Mary Kay Translucent Powder is not completely matte. 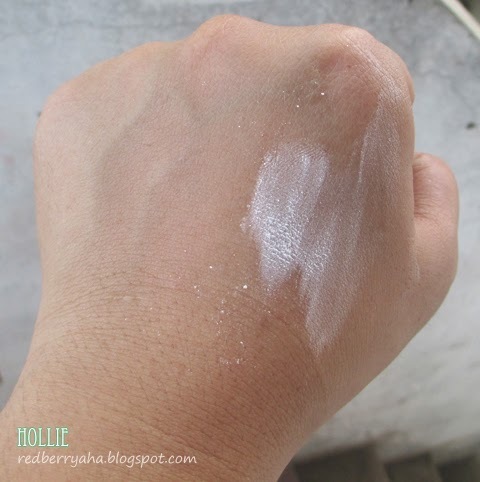 It has a little bit of shimmer to it which makes your skin look healthy when it catches the light. 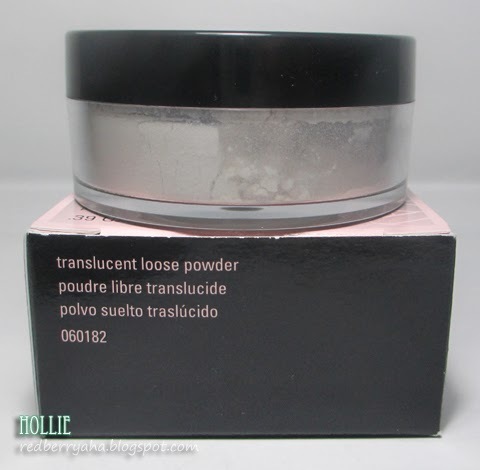 I find that this powder instantly mattifies and sets my liquid foundation. 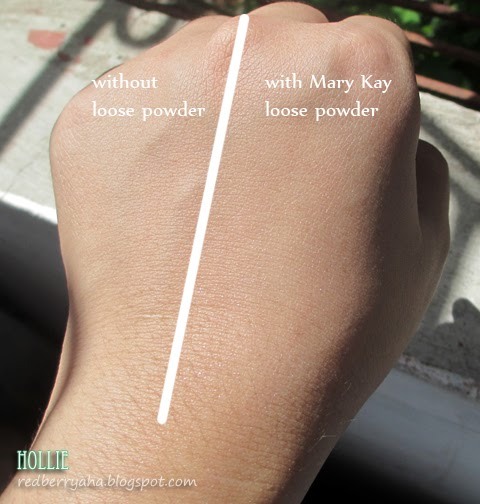 I compared it with my Ben Nye Neutral Set loose powder. 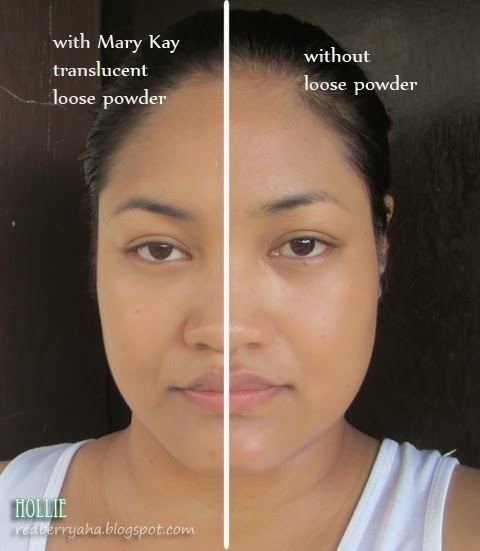 Based on quality and performance they are at par with each other, the only difference is the instant glow that the Mary Kay Translucent Powder gives which is visible in person. It doesn't really show in photos. 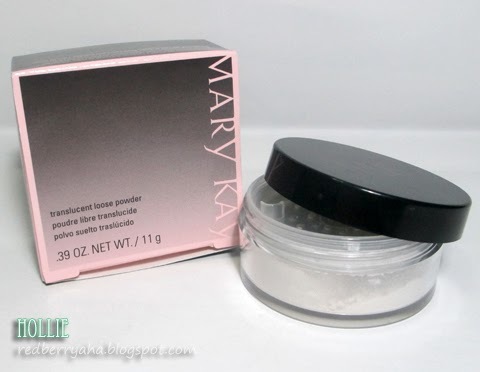 This is definitely one of the best finishing powders I have tried, so I highly recommend it. 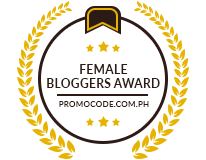 If interested, you can buy this through Mary Kay Beauty Consultants. 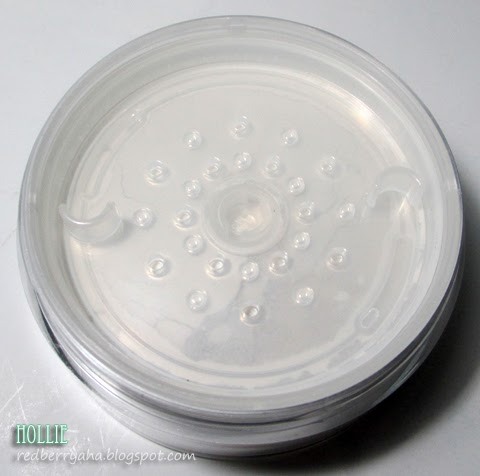 I like the slight shimmer to it because I prefer a dewey, glowing look compared to a completely matte one so I prefer powders like this which give you the matte finish but makes you look glowing and healthy at the same time. Need to purchase!